SHOP THE CITY HAS RETURNED! Celebrate Autumn in Style on Wednesday 1 May 2019 from 10am – 10pm as our retailers give you exclusive offers and discounts. We are also offering you some amazing incentives. View our retailer offers here. Visit our Vue Events stand located outside Desigual from 5pm and enjoy a bespoke Vue Events canape* while you shop up an Autumn storm. 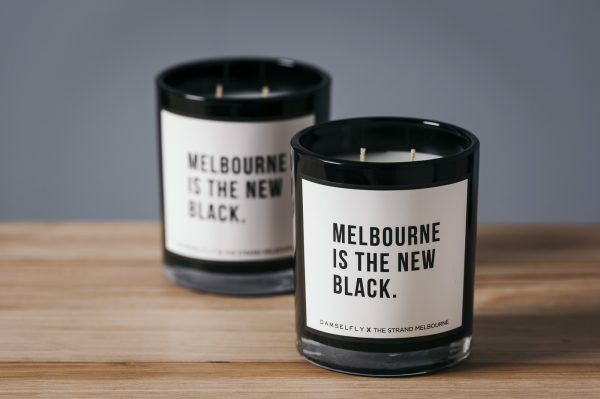 Spend $75 or more from any of our retailers and receive a complimentary exclusive Damselfly x The Strand Melbourne candle*. Present your receipt at our redemption stand located outside Veronika Maine from 10am. Strictly while stocks last; you don’t want to miss out! View Gift With Purchase Terms and Conditions Here. View Vue Events Canape Redemption Terms and Conditions Here.